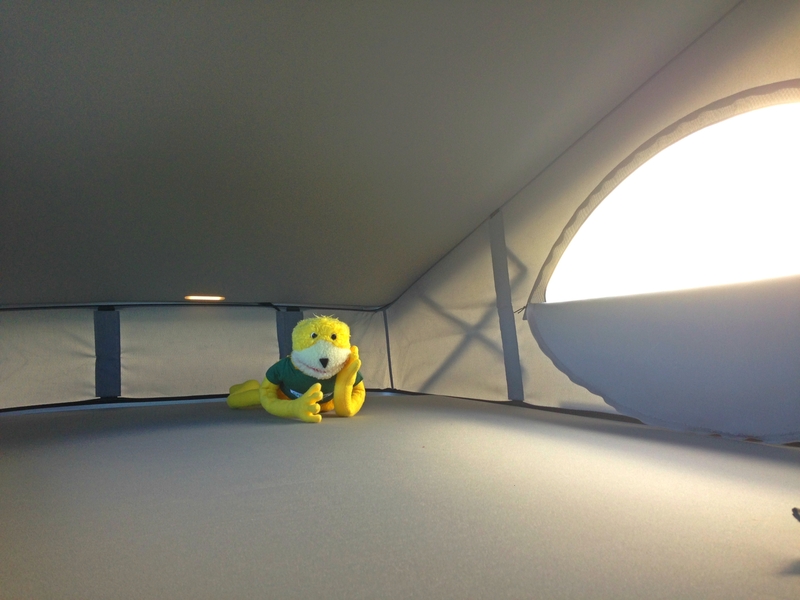 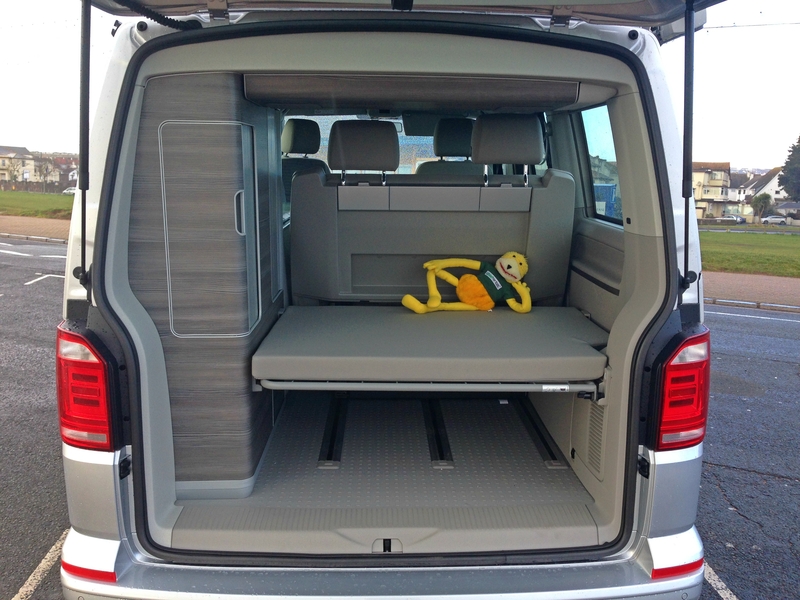 Overall Length (excluding bike rack) 5.7m - 18ft 7"
Overall Width (mirrors folded) 2.6m - 8ft 5"
Overall Height 2.0m - 6ft 5"
Roll Out Double Bed	 2.08m x 1.36m 6' 10" x 4' 6"
Pop Top Bed 1.84m x 1.36m 6' 0" x 4' 6"
This is the only production Camper van produced by VW. 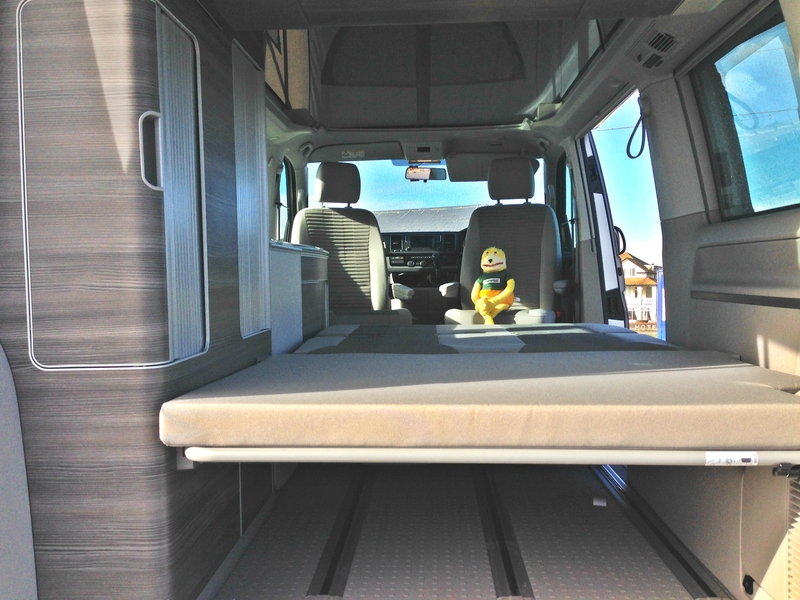 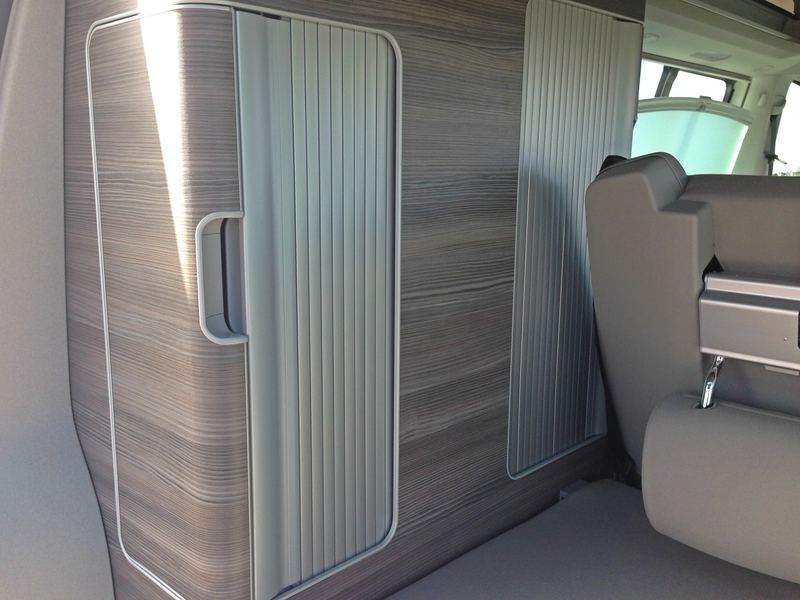 Rather than the majority of campers on the road which are converted vans by third party companies. 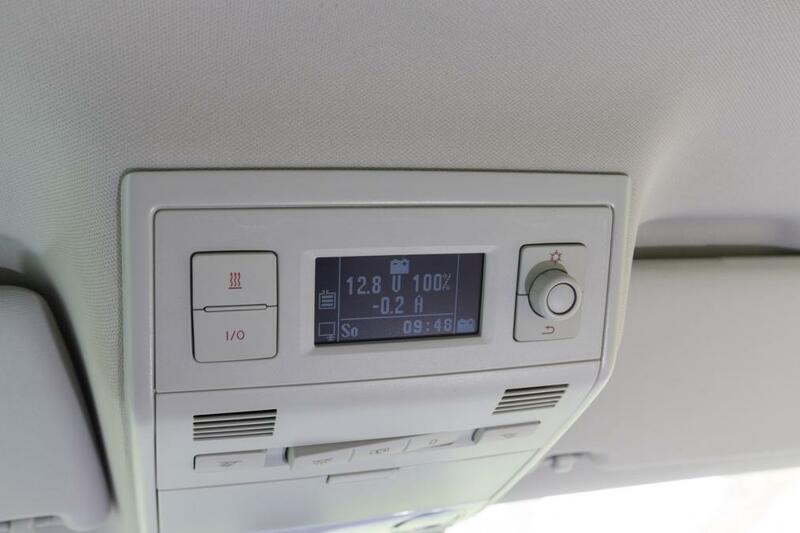 It’s based on the classic Transporter range but has been updated with all modern features and technology you would expect from a modern car (Bluetooth, aux, USB, air con, cruise control, automatic gearbox etc.) 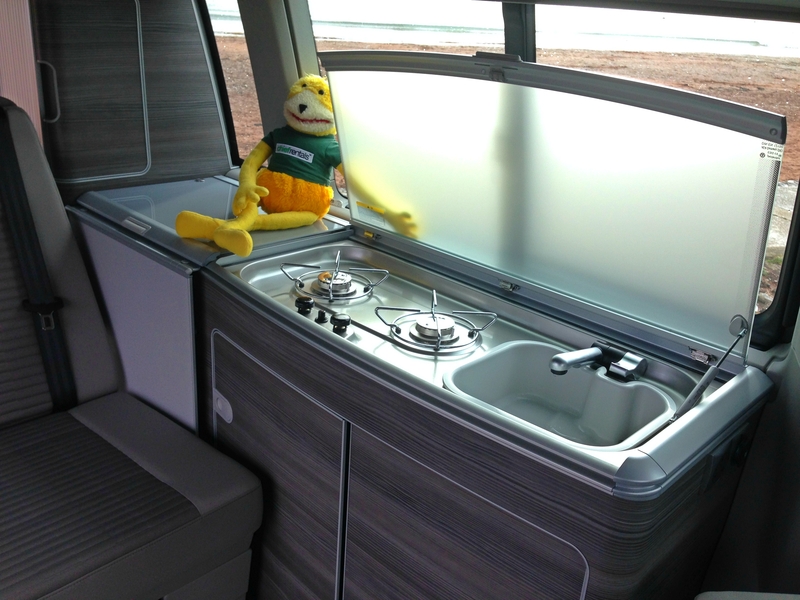 As with every factory built VW you can expect the finish and quality to be of the highest standard. 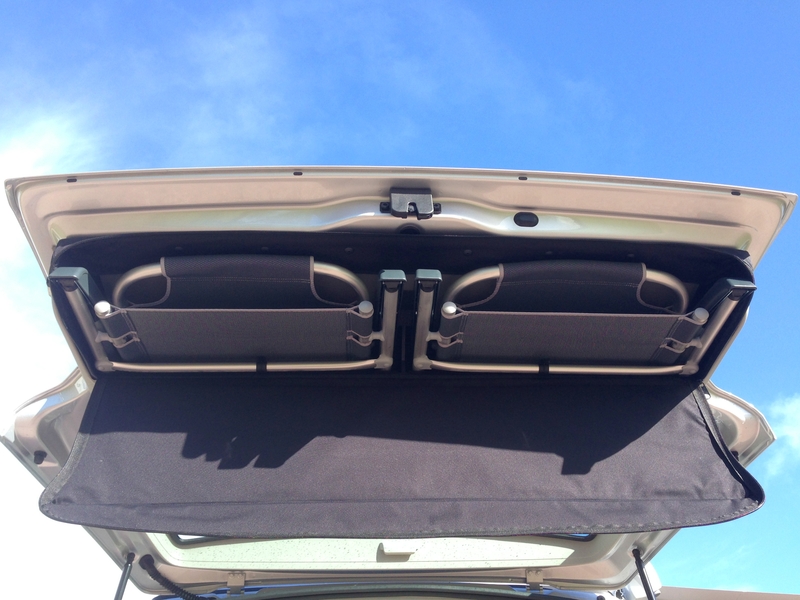 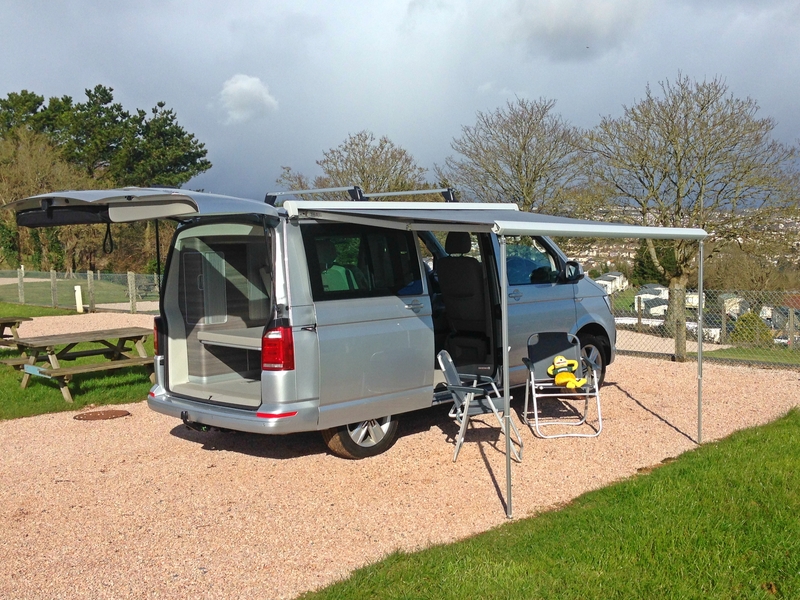 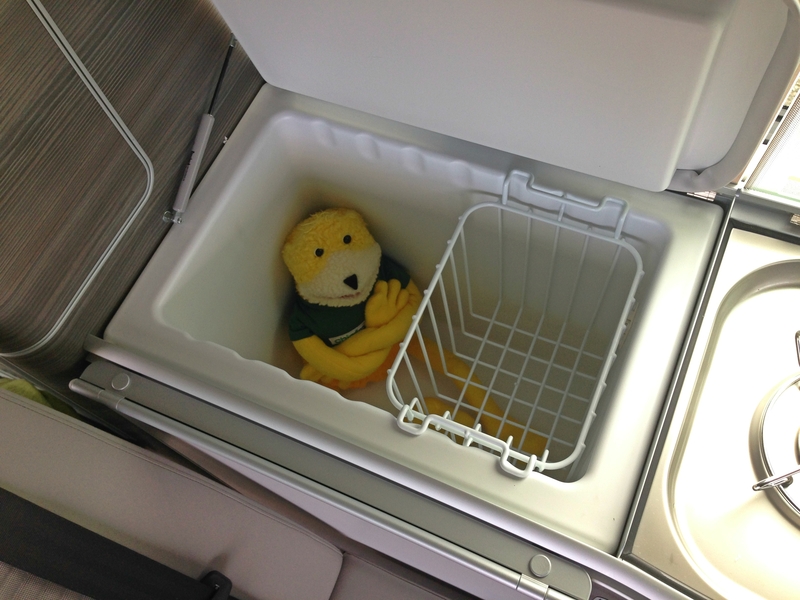 The VW California is very easy to drive and park (ours come with parking sensors as standard). 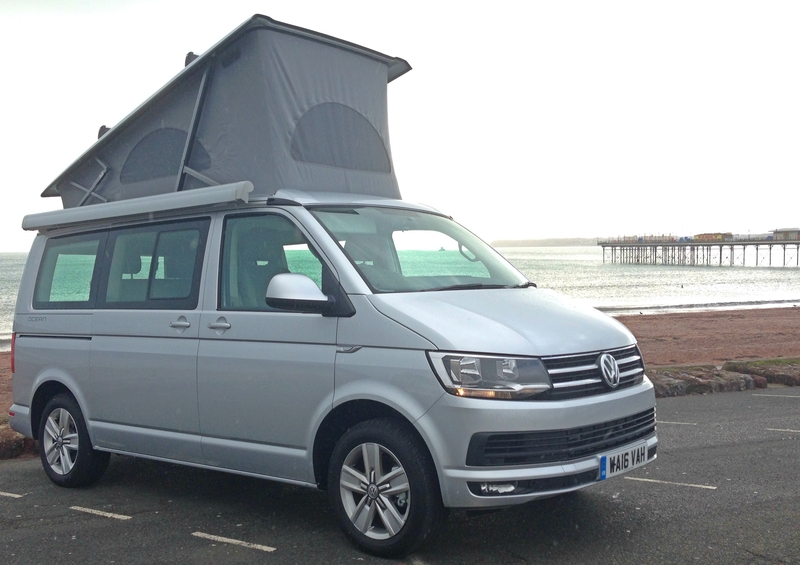 With its swivelling front seats, electrically powered pop top roof and easy roll out bed, it transforms effortless from travel vehicle to over night stay in seconds. 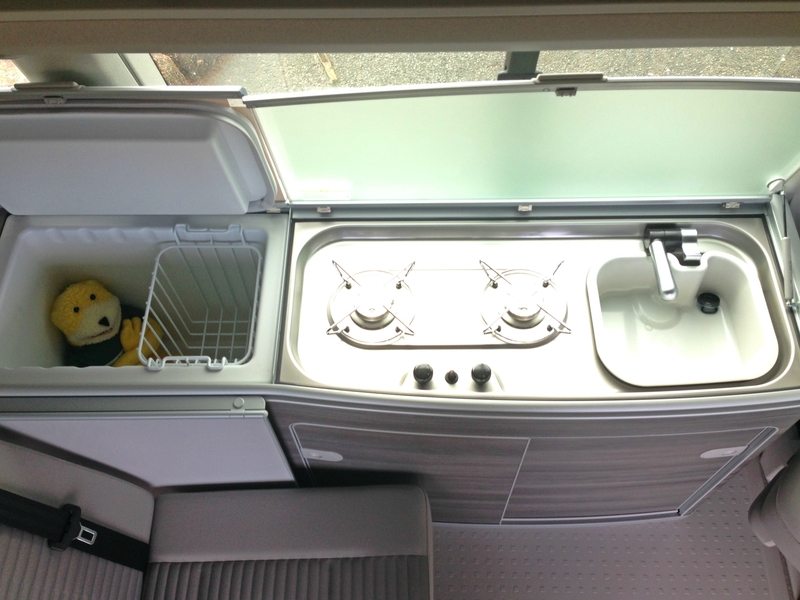 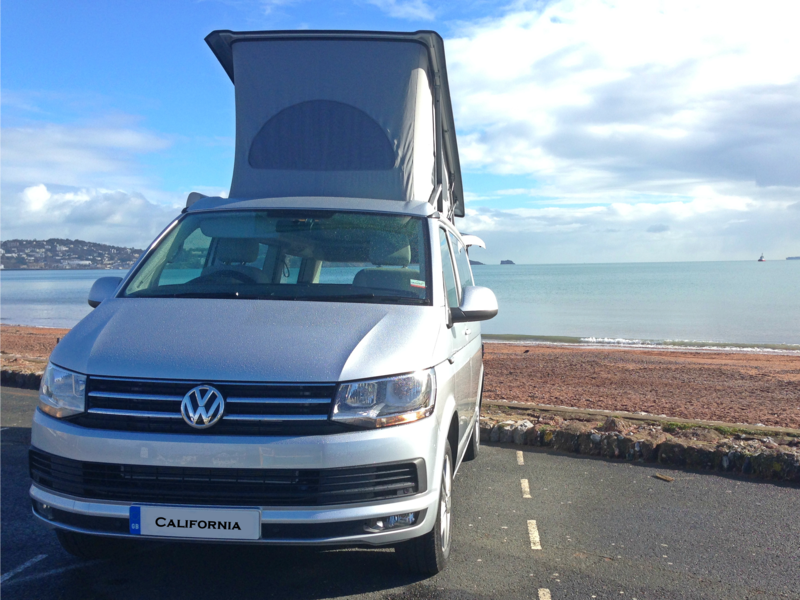 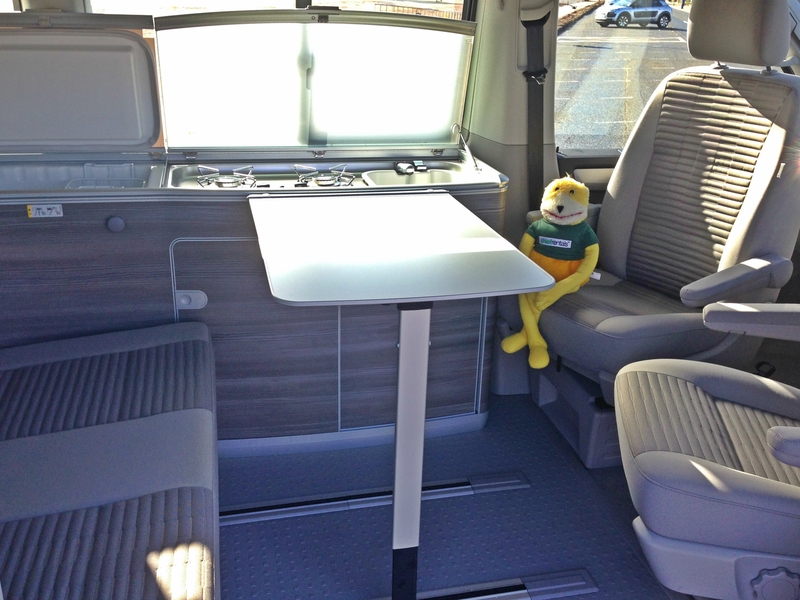 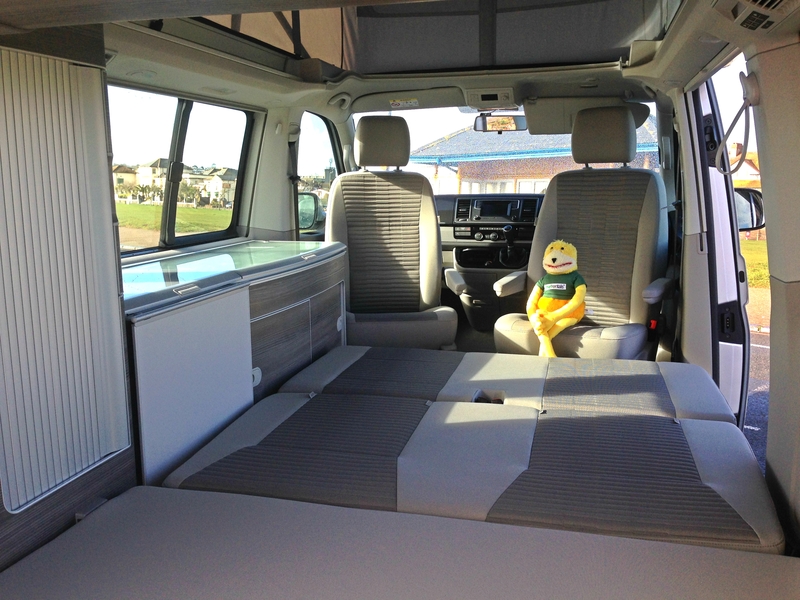 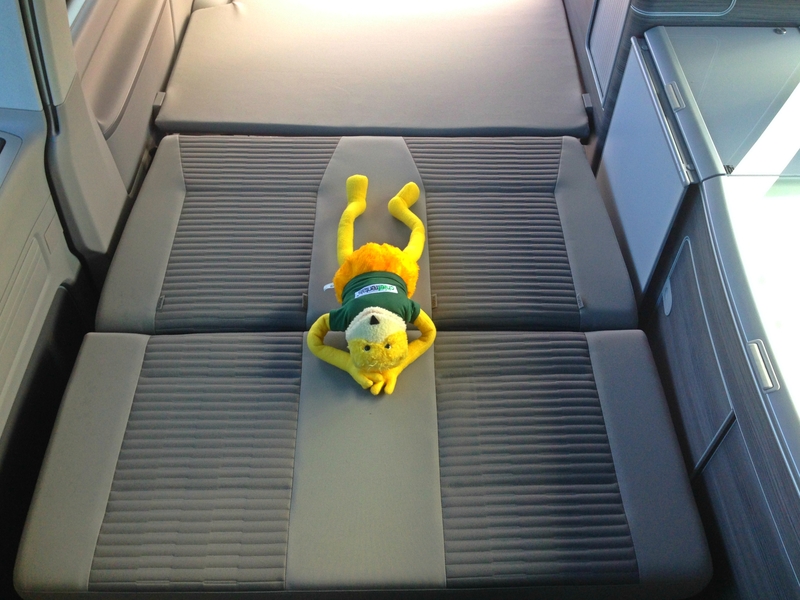 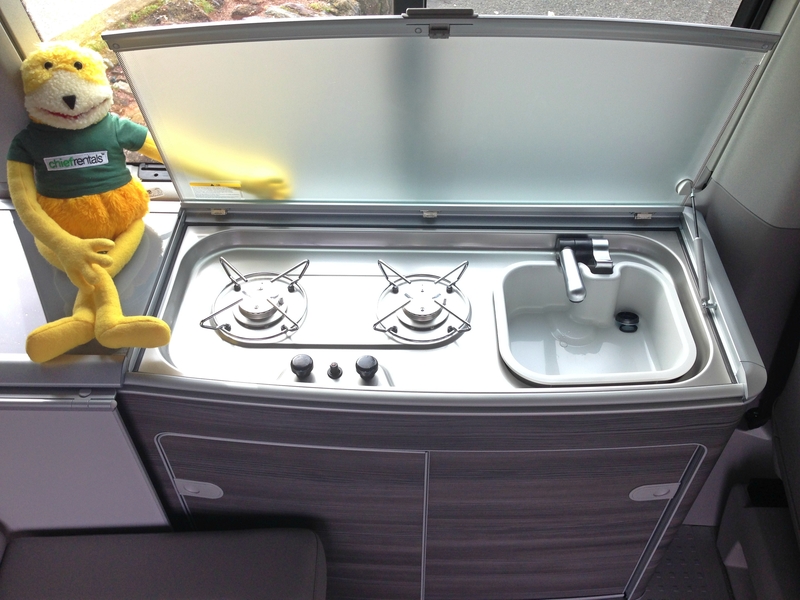 The VW California come fully kitted with a 42L fridge, double gas burner hob, swivel front seats to give you that extra space, the pop top roof provides a very comfortable double bed and the lower seats convert effortlessly into a second double bed. 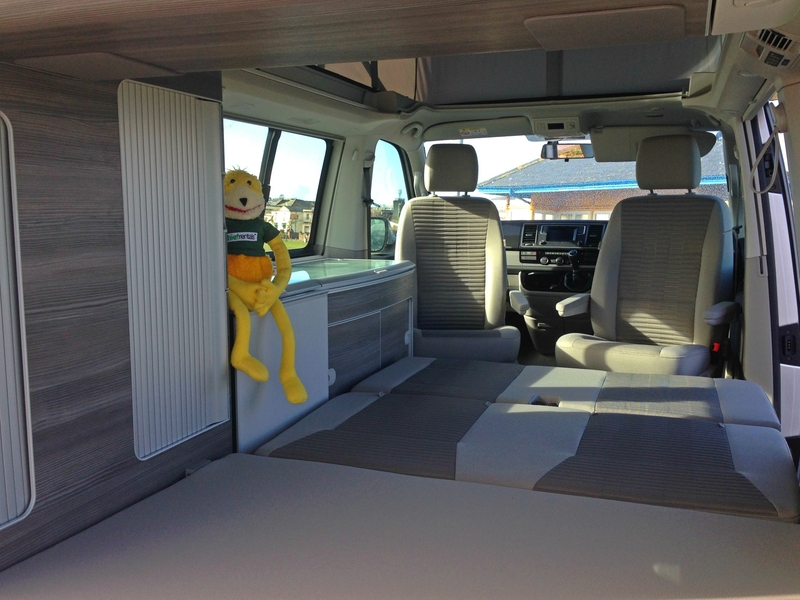 The VW California has the latest 2.0L BiTDI 180ps engine, a automatic gearbox as standard which is capable of giving a fuel efficiency of 40mpg, cruise control, parking heater, and semi climate control and air conditioning. 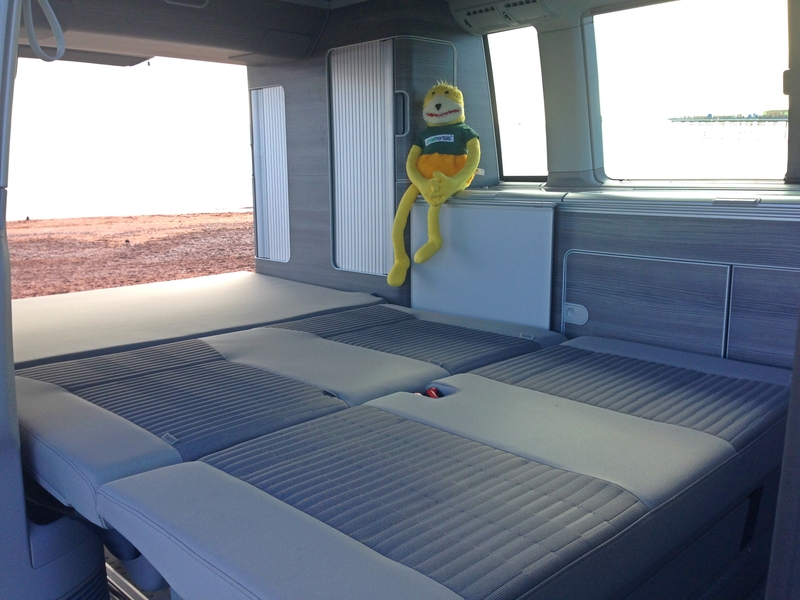 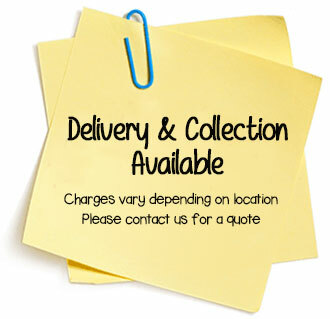 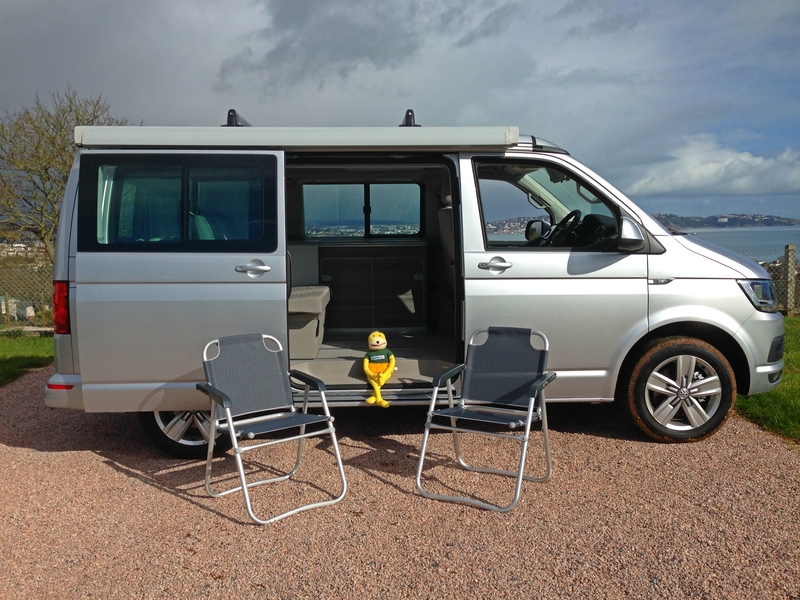 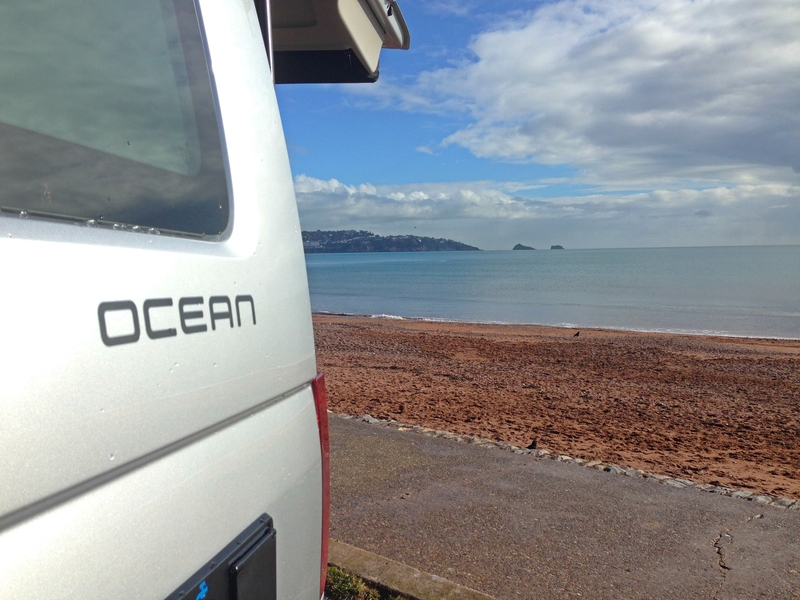 As with all our motorhomes and campervans it’s available to hire all year round for both UK hire and EU use. 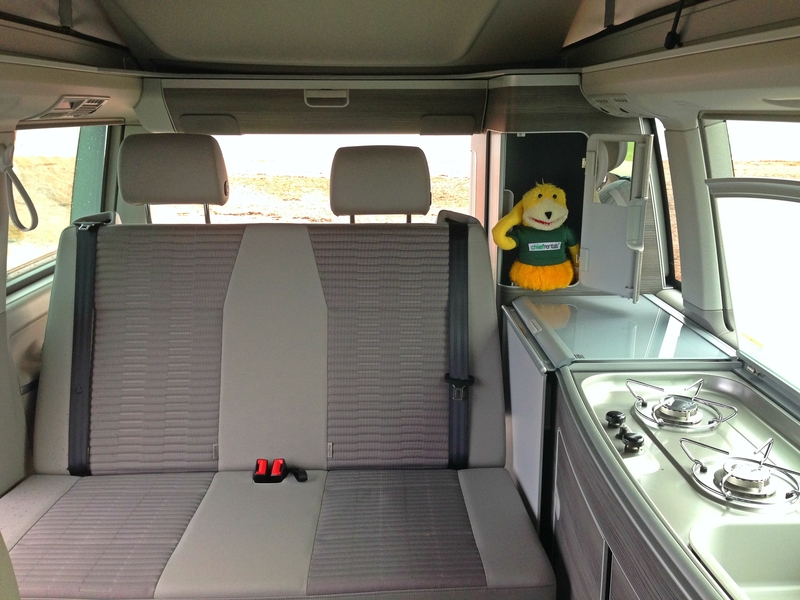 For peace of mind and safety we provide each VW California hire with a 1st aid kit, fire extinguisher, fire blanket, smoke and carbon monoxide alarms.